The CUCET 2019 admit card will be released for those candidates who have successfully submitted the application form. The Admit card will be available on 10th May, 2019. It is one of the most important documents that the candidate must carry to the exam center. 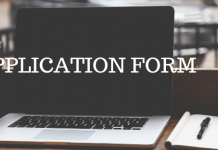 Candidates must keep their CUCET application Id ready in order to view and download their CUCET Admit card 2019. Before downloading, candidates must check all the details on their CUCET 2019 admit card, the link for which will be provided here. CUCET 2019 Admit card will be released on 10th May, 2019. Only those candidates who have correctly filled and submitted the application form will be issued the admit card. Candidates will be able to download the CUCET 2019 Admit Card online. Appearing students must carry their admit card to the examination hall. CUCET Admit card 2019 will contain important details like examination date and time, the address of the examination center, roll number and instruction to be followed on the examination day. Without the hall ticket, no candidate will be allowed to take the entrance test. Candidates can check the releasing dates of CUCET Admit card 2019 in the table given below. Visit the official website of CUCET which is www.cucetexam.in. 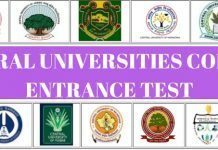 Or click on the CUCET 2019 Admit Card link provided here. CUCET 2019 admit card will be displayed on the screen. Check the details and download the same. Take 2-3 print outs to take to the exam center. Before downloading the CUCET 2019 Admit Card, candidates must make sure to check if the below-listed details are present on it or not. In case there is any discrepancy, students must contact the official authority for rectification of details. Candidates will not be allowed to take the CUCET 2019 without the admit card. The admit card will be available in the online mode only. No hard copy will be sent to the candidate. The details on the CUCET Admit card will be in accordance with the details on the CUCET application form 2019. In case the admit card is soiled or tampered, students will not be allowed to take the examination. Next articleHow to find the New-Age Media School for better Career Prospects?